My son is using alcohol as a means to help himself sleep, he is doing this every night, Jim Bean and coke 2 to 3 glasses a night. I tried to warn him I don't think he believes me that if he is not careful he could become an alcoholic. My question is how much does a person have to consume on a daily bases to become an alcoholic, I don't think he is an alcoholic yet. This is why I have contacted you so I can get him to see that drinking every day is not the answer. I want my son to see that drinking every day is not good. Comments for How much alcohol is too much? Liquor issues happen at different levels of intensity, from light and frustrating to life-threatening. Although alcohol dependency (alcoholism) is the most serious level, less serious consuming issues can also be risky. Excessive consuming turns into increase of alcoholism death rate when somebody's consuming begins to cause problems and the consuming carries on anyway. Alcoholism is a disease of the brain that is caused overtime by alcohol abuse. Alcoholism is characterized by increased tolerance, which means your son will begin to use more and more alcohol to receive the same effects. It is also characterized by dependence, which means he MUST use otherwise withdrawal symptoms will begin. Certainly, daily use of alcohol in the volume you described is the first step toward alcoholism. Alcohol abuse also causes MANY health problems over time. Alcohol abuse has been linked to cancer, heart disease, and many other problems. Many people self-medicate depression and anxiety disorders with alcohol. Getting your son to go to a doctor for an a checkup could help identify why your son is using so much alcohol. Once alcohol addiction sets in it becomes VERY difficult to treat successfully. Hopefully your son is only abusing alcohol and not already addicted. If your son is already alcohol addicted you need to get him into treatment for it ASAP! You also need to get him to attend AA meetings to learn about the disease that he is likely to get. 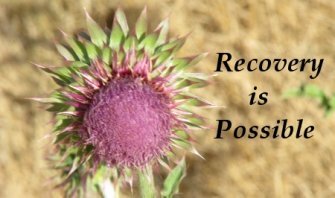 Finally, you should find an al-anon meeting to attend and learn as much as you can about the disease of alcohol addiction. The more you learn the better prepared you'll be to help your son.